As Jowett relates in his brilliant introduction, 95% of Plato’s writing is certain and his reputation rests soundly on this foundation. The Alcibiades 1 appears to be a short work by Plato with only two characters: Socrates and Alcibiades. This dialogue has little dramatic verisimilitude but centers on the question of what knowledge one needs for political life. Like the early dialogues, the question is on whether the virtues needed by a statesman can be taught, on the importance of self-knowledge as a starting point for any leader. 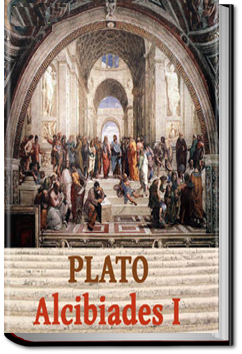 While this may be only partially the work of Plato, or even not his at all, Jowett favored the work with his magisterial translation and appears to favor its inclusion in the canon of true works.